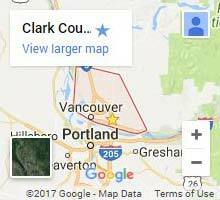 Looking For A Local Landscaping Contractor In Clark County, Washington? We all know landscaping ain’t easy. Not only is it tough, if you aren’t trained to do it right, you can end up with a ruined landscape. With as many years in the business as we have, we’ve seen it all. We’ve witnessed firsthand the damaging effects of improper drainage on a yard. With as wet as it is in the Northwest, that’s a mistake you don’t want to make. As longtime, professional landscapers, we work closely with property owners to shape their landscape into one they can appreciate. We know what good landscaping takes. 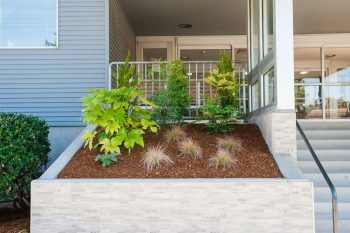 We know how to do it correctly, efficiently, and account for variations in weather, hillside slopes, and materials so that your landscaping can endure season after season. At Clark County Landscaping we aren’t just a landscaping crew; we’re there to bring you the yard you’ve always wanted. For homeowners in need of experienced landscape maintenance, give us a call today! What Can A Landscaping Crew Do For You? Prevents problems from happening later in the year. It’s easy to put this part off. We offer complete, worry-free landscape cleanup services — including seasonal cleanups, tree removal, gutter cleaning, and debris removal. We focus on these areas in particular because when left alone, they can potentially lead to leaks in your home or foundation, dead grasses, and pest problems. That’s because landscaping does more than just protect your yard, it protects your home. Plant new trees, bushes, flowers, and install aesthetic touches like rockeries. Prune existing trees and plants for growth, stability, and tree health during short and dark days of the winter months. Lawn mowing and maintenance. We’ll keep a close cut and edge your lawn for a clean and sharp look. Pressure wash driveways and hard surfaces. Lay beauty bark and mulch in gardens. Contact Us For Tailored Landscaping Today. 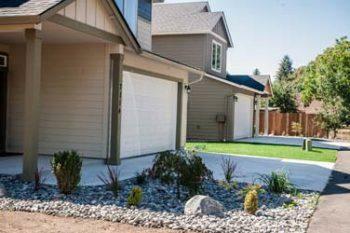 We’ll create a 100% customized landscaping packages based on your schedule and the needs of your yard. From total landscape redesign to simple, weekly lawn care, we can scale to meet your needs. Give us a call or contact us today.